D 263® M is a clear borosilicate glass that is produced by a draw-down method. This permits the production of very thin glass thicknesses between 0.10 and 0.21 mm. 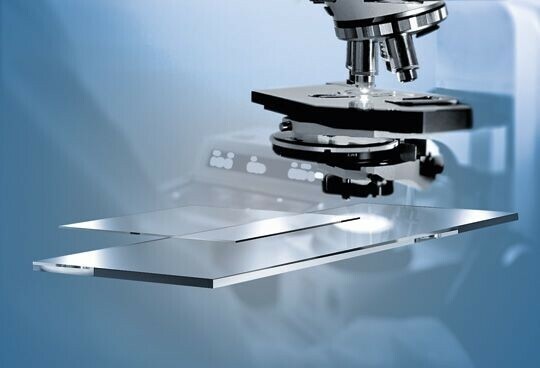 D 263® M is used as a cover glass for microscopic analyses and complies to all requirements of ISO 8255-1. Its low autofluorescence and high chemical resistance are preconditions for reliable research results. Due to the protective coating and outstanding quality of material it is easily separable and, therefore, well-suited for automated cover slipping equipment.